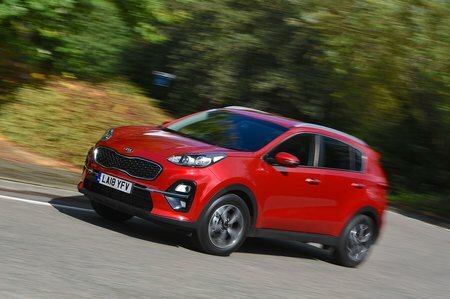 Kia Sportage 1.6 GDi ISG Edition 25 5dr 2019 Review | What Car? Celebrating 25 years of the Sportage, this trim builds on 2 with a de-icer for the front wipers, LED front and rear lights, part leather seats with electric adjustment up front, keyless entry, a larger 8.0in touchscreen, a JBL stereo, front parking sensors, automatic emergency braking and blind spot monitoring. Worth considering if your budget can stretch to it. The entry-level petrol engine needs working hard and isn’t very efficient. There are better options in the range.